Ain’t just about reliving old memories in a more recent title though, more modern features such as online multiplayer (and split-screen, like any good top-down racer!) being part of the package. And with more than a dozen tracks on which to prove your worth, not to mention all the different modes – including two rally variations – and of course, the acquisition of both new cars and upgrades for your vehicle of choice. Far as gameplay is concerned, fans of the classics are likely going to feel right at home in Super Pixel Racers, drifting providing nitro, collisions adding damage (and too much of this will cause… well, I’m sure you can guess) and a groovy soundtrack to top it all off. Oh, and we mustn’t forget about the locales, which will take players across the globe, from Bahrein to Canada. Now, who’s ready for some pixelated racing? 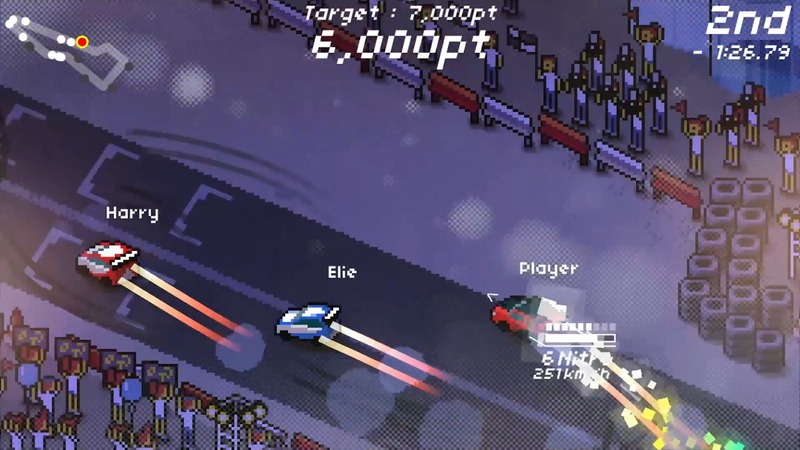 Super Pixel Racers is available on Steam, Xbox One, and PlayStation 4.